NovoJuris Legal is proud to announce the Inter-collegiate Essay Competition on Data Protection and its various facets. Data Protection has taken very high importance not only in India but across the World. The Personal Data Protection Bill, 2018 (“Bill”) and the Data Protection Committee’s (“Committee”) Report (released on 27 July 2018) provides for the framework and the policymakers’ insight on protection of individual’s privacy and personal data in India. The Bill has set high expectations particularly after the European Union’s General Data Protection Regulation (“GDPR”) came into force on 25 May 2018. It is also essential to note the important judgments including the now famous “Aadhar case” of Justice Puttaswamy (Retd.) V. Union of India. Reserve Bank of India (RBI) in April this year has mandated that all data generated by the payment systems in India, is to be stored in India. The Ministry of Health and Welfare has also published the draft legislation called Digital Information Security in Healthcare Act, to safeguard e-health records and patients’ privacy. Thus, all these new rules/policies/regulations (collectively referred as “the Data Protection Framework”) indicate a very strong direction that the Government wishes to undertake on protection of data including but not limited to data localisation, which helps in enforcing data protection, nation’s security and protect its citizen’s data, better control on transmission of data outside the country and more. General Data Protection Regulation in European Union has raised the bar on legislation on data protection across the world. Would this be beneficial or would it stunt technological growth and innovation? Is our Privacy safe under the Aadhar scheme? A critical analysis of change in the privacy law regime post Aadhar case in India. Implication and critical analysis of the Data (Privacy and Protection) Bill, 2017. Do we need a stronger consumer centric data protection law in India like the Customer Online Notification for Stopping Edge – Provider Network Transgressions (CONSENT Act), USA in the aftermath of the Facebook data breach incident? With all the industry specific regulator (RBI, TRAI, MHoW and etc.) providing various regulations, guidelines and draft policy notes with regards to Data Protection Framework in India, what do you think the outcome will be? Is India formalizing a uniform law for data protection? ▪ Submission Date – The essays must be submitted on or before 11:59 PM on 30 January 2019. ▪ Declaration of the Result on 31 March 2019. – The winners of the competition shall be notified by email and by declaration of results of the competition on this website. This entry was posted in Articles and tagged AADHAR, CONSENT Act, consumer centric data, data protection, data protection in India, essay competition, GDPR, intercollegiate competition, MHOW, online notification stopping, RBI, TRAI on December 28, 2018 by novojuris. 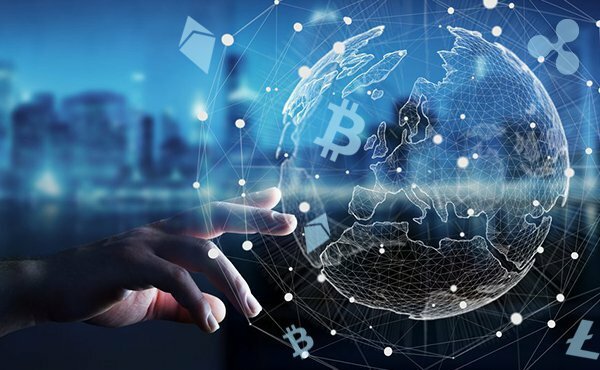 Peer to Peer (“P2P”) lending platforms (the “Platforms”) aims to provide individuals and entities with an alternative source for fulfilling their capital requirements. Whether it is for obtaining capital to run a business, financing to complete a personal project, or to obtain a loan for any other purpose, these Platforms allow borrowers and lenders to meet and transact on mutually acceptable terms.The Platform itself typically assists the process by listing lenders and their terms and conditions, verifying the identity and initial creditworthiness of the borrowers, disbursing the loans/tranches, collecting loan repayments etc.For these services, both the borrowers and lenders pay the Platform a commission. Most Platforms follow a ‘reverse auction model’, where the lenders bid with their own terms and conditions for a borrower’s loan proposal, and the borrower has the freedom to choose between the various bids.This gives borrowers who would typically struggle to get loans from banks/NBFCs with a variety of options. Further, the other advantage of the Platforms is that borrowers can now stay away from money lenders/the unorganized sector, as the Platform verifies all lenders and provides a streamlined and regulated process for obtaining loans. Finally, in most cases, the interest rates on loans obtained on the Platforms is also lower than what individual money lenders would usually charge. The Directions provide that only corporate entities registered as a ‘company’can operate and engage in the business of P2P lending. Companies operating existing Platforms will have to obtain a certificate of Registration (“CoR”) from the RBI within a period of 3 months from the date of publication of the Directions.Additionally, the Directions provide for minimum capitalisation requirements, which need to be met before obtaining registration. This requirement is INR 2,00,00,000 (Rupees Two crore only), which is in line with the requirement for all NBFC’s in accordance with Section 45-IA of the Reserve Bank of India Act, 1934. The Directions also provide the criteria on which registration will be determined.This includes ensuring that the Platform has the necessary technological and managerial resources, a robust IT system, fit and proper directors, a viable business plan etc. On being satisfied with an application, the RBI will first give an in-principle approval for setting up and operating a prospective NBFC-P2P platform. Within 12 months from the in-principle approval, the company must develop its technology platform as per the RBIs satisfaction, and also submit all other legal documentation as may be requested. For a platform acting as a mere marketplace for the meeting of lenders and borrowers (one that does not provide any of the additional services described above), the capitalisation requirements contained in the Directions seem a little harsh. Additionally, the requirement may prevent start-ups from entering this space entirely, which will adversely affect innovation in this space.We recommend that the threshold should be revised downwards and can be made incremental with each year of an entity’s operations, to ensure that only companies that are growing continue to retain their license/registration. The Platform can act as a mere aggregator, intermediary or marketplace to facilitate the meeting of lenders and borrowers. While they can participate in the lending/borrowing process in certain ways (described below), and cannot raise deposits in any capacity. The Platform cannot guarantee the return of a loan to any lender or provide guarantees of no loss. This will ensure that all lenders signing up on the Platform do so at their own risk, and will hopefully bring about transparency by reducing instances of false advertisement/lending in the name of the Platform. The Platform can allow lenders to offer only unsecured loans. This was the original idea behind P2P Platforms, and it allows customers with little/no security to avail of loans as well. The Platform shall not cross-sell any product except for loan specific insurance products. The Platform cannot permit the international flow of funds. With this restriction, foreign lenders and/or borrowers have been excluded from participating directly on the Platforms in India, unless they hold a bank account within India. Platforms can provide assistance in disbursement and repayments of loans. Any registered lender or borrower cannot lend or borrow more than INR 10,00,000/- (Rupees Ten Lakhs only) across all registered and authorised P2P Platforms. Further, no single lender can lend more than INR 50,000/- (Rupees Fifty Thousand only) to any single borrower across all Platforms. While these thresholds may seem conservative at first, considering the nascent stage of the P2P lending industry we believe that these limits are appropriate. The Platforms were anyway meant to facilitate small, unsecured loans from individual lenders, and if demand rises the limits can be revised in the future. Maturity Period: No loan provided via a Platform can have a maturity period of more than 36 (thirty-six) months. This seems apt, given the loan value is also capped at a number that is not very high. The Platform is required to have and implement a policy approved by the Board of Directors of the Company (the “Board”) regarding the eligibility criteria for participants, pricing of their services, and detailed rules for matching lenders with borrowers on an equitable and non-discriminatory manner, and other matters concerning the operation of the Platform. Additionally, any and all liabilities regarding the collection, storage and protection of personal data by the Platform will have to be borne by the Platform itself, even if any of these functions are outsourced to third-party service providers. The Platforms are also required to maintain 2 escrow accounts for the transfer of funds – one for funds from lenders and the other one for funds collected from borrowers.Cash transactions are prohibited, which will help in accounting for all money being transacted via a particular Platform. Previously, the scant availability of information regarding a borrowers’ credit history and defaults made the sheltering of defaulters easy. The Directions are aimed at rectifying this situation.They seek to introduce transparency and information symmetry between the borrowers and lenders, while simultaneously protecting the privacy of the data belonging to both parties. Prior to accepting any loan arrangement on a Platform, the lenders should be made aware of the personal identity of the borrower, the loan amount, the credit score determined by the Platform and other details regarding the borrower.This ensures that the lenders can be made an informed decision regarding engaging with any borrower. Borrowers are made aware of fewer details than the lender – they are informed about the lender’s proposal, repayment terms and interest rate, but are not informed of the lender’s personal identity, contact information and other personal information. This seems logical, as the borrower’s decision regarding the lender’s proposal should be based purely on the commercial terms offered, and not on the details of the particular lender. The Platform is required to publish on its website the overview of the credit assessment methodology and factors considered; data protection and privacy measures; dispute settlement mechanism; portfolio performance including a share of non-performing assets monthly and segregation by age; and its broad business model.This is intended to give any individual/entity looking to register on the Platform the opportunity to make an informed decision. The Platform has to carry out a yearly information system audit, as well adhere to all requirements under the Master Direction on Information Technology Framework for the NBFC Sector, June 8, 2017. With India marching towards the aim of being a paperless, cashless and consent-secured data sharing economy, these Directions are expected to open up new avenues for obtaining capital for individuals and small businesses, while simultaneously maintaining transparency and accountability in the process.Perhaps the only clause missing from the Directions is one on penalties, describing the repercussions if a Platform fails to adhere to any of the given guidelines. Yet overall, the Directions seem to be apt for P2P Platforms and well-thought through, especially considering that the industry around such Platforms is still nascent in India. As these Platforms gain more prominence the Directions can be modified accordingly, but for now, they seem to be a good starting point. This entry was posted in Articles and tagged borrower, company, Fintech, India, Lending, NBFC, novojuris, P2P, Peer to Peer, RBI, RBI regulation 2017, RBI regulations, Start-up on November 22, 2017 by novojuris.